Just been scanning some old photos. 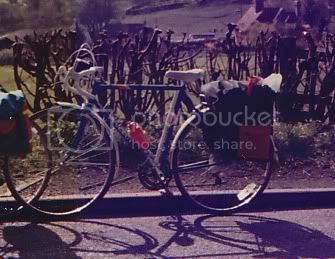 This is the bike I first raced on, pictured here on a touring holiday in March 1989 about a month before my first race. I'd only bought it a few months before that and had deliberately got something suitable for touring - racing hadn't even entered my mind. 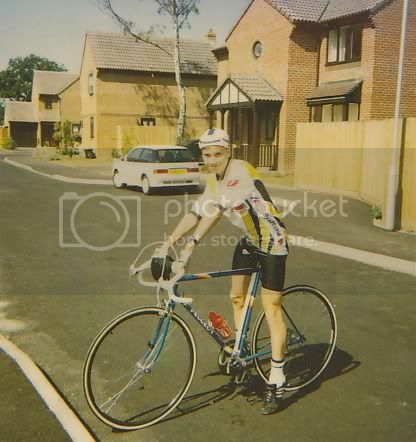 Then I suddenly decided to get into racing, but didn't have any money to get another bike (seeing as I was earning about £7 a week from delivering newspapers), so I had to do the best I could on this one. Obviously I removed the mudguards and carrier, but the gears were really widely spaced (and on the low side), the tyres much fatter, and everything much heavier than it should have been. 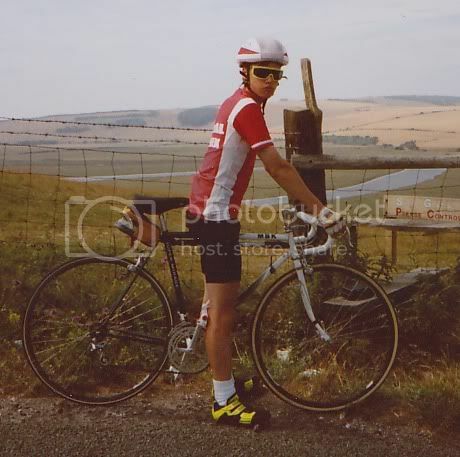 The same bike in July 89, now transformed with some Campag wheels for my 16th birthday present. As you can see from my kit, I wanted Fignon to win the Tour that year. 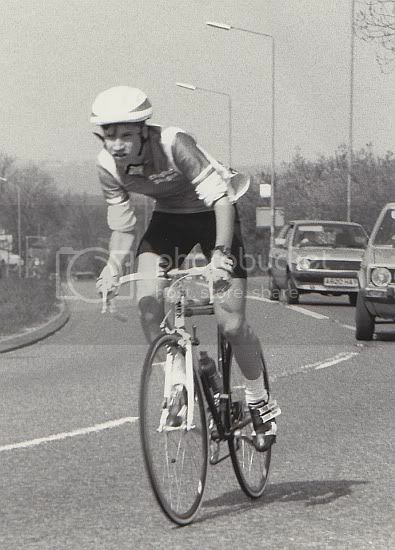 New bike (with same wheels), doing a 10-mile time trial in May 1990. July 1990. Look pedals! Concealed brake cables! Loving the shades. I had an mbk mountain bike, the bottom bracket imploded climbing up away from boscombe beach. This has not proved to be quite the action-packed thread I had hoped for. The bike is still in mum's garage, I will get a sad picture of it in a couple of weeks. I don't think there's a single photo of me on a bike from back in the day. Will ask mum if she's got one of me on the elf or the tomahawk.